Genesis Casino is a relatively new venture in the world of online gaming, established recently in 2018. 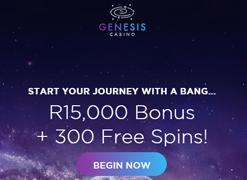 Despite being a Casino based in Malta, Genesis has a focused approach towards South African players. The casino has emerged as a hot favourite among SA punters due to the fact that it allows easy deposits and withdrawals in SA Rand, which is not something you find often among EU based casinos. Add to that a massive selection of top online casino games, excellent customer support, and world-class design, and Genesis Casino is a must-visit website for all casino lovers in South Africa. Genesis Casino has over 1300 games on offer for its customers. That is something exceptional even by today’s standards. 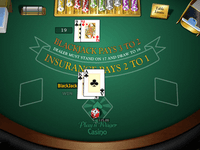 Many smaller casinos have just one software provider/platform. Owing to its gargantuan catalogue, Genesis has partnered with not just one or two, but around 6-7 of the top software providers in the online gaming industry. With companies like NetEnt, Evolution Gaming, and Microgaming taking care of the software and games, it comes as no surprise that Genesis Casino offers the best gaming experience out there. Everything is button smooth and lightning fast, with zero interruptions. If you want non-stop gaming at your favourite slots or casino tables online, Genesis has got it covered. For slots lovers, the problem at Genesis Casino is one of plenty: there are over 700 slots games available here. These include popular classics like Starburst, Divine Fortune, Moon Princess, and Immortal Romance. They are also constantly updating their selection with the latest games like Raging Rex and Champions of Rome. If you want to win millions of Rands, the progressive jackpots section has games like Mega Moolah, Fruit Bonanza, and Gunslinger. The categories also include table games and live lobbies powered by NetEnt and Evolution Gaming. 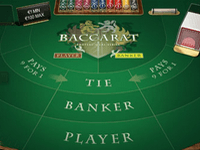 Here you can play games like French Roulette, Texas Holdem, and numerous blackjack and baccarat tables for punters from all over the world, including South Africa. Genesis Casino On Mobile - Play Anywhere, Anytime! Genesis Casino is a very versatile online software platform. It doesn't require any special downloads or app installations to run. As long as you have a PC/Mac or mobile device with a working internet connection, you can play Genesis Casino games pretty much anywhere. 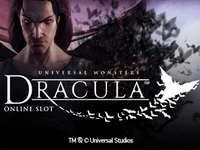 It is an instant play and mobile casino rolled into one, without the need for any pesky downloads! 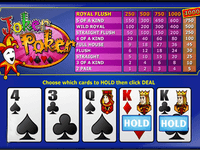 The casino can run on virtually any mobile device out there at the moment, including all iOS and Android devices as well as Windows phones and Blackberry range of products. The secret here is the use of modern HTML5 standards. These have been used in websites since 2010, so pretty much every device and browser in 2019 is guaranteed to run the Casino software. All Android devices like Samsung Galaxy S3, Samsung Galaxy S4, Google Nexus 4, Google Nexus 7, Samsung Galaxy Tab 2 7, Samsung Galaxy Tab 2 10.1, all Windows phones and PCs, all Apple iOS devices like MacBooks, iPhone 4S, iPhone 5 and newer generations, iPad 2, iPad (3rd generation), iPad (4th generation), iPad Mini, iPod Touch (5th generation with A5 Dual Core chip). The experience you get on mobile devices is identical to the one you would get on a PC screen. 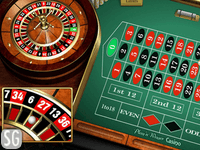 All the features are still there, and the casino website has been optimized to run flawlessly on the smaller touchscreens of iPads and mobiles. The menus are easy to navigate and the game buttons and controls work well too. Plus, you also have access to all the bonuses and promotional offers as well. We highly recommend Genesis Casino because of the overall quality of their services. Be it in the realm of games, software platform, security, customer care, or financial transactions, Genesis Casino is a cut above the competition. Add some really lucrative bonuses into the mix and you have a real winner here. Visit Genesis right now to see for yourself! Deposit Options: Visa & MasterCard, Bank Online Transfer, Skrill, Neteller, ecoPayz, EasyEFT South Africa and many more. Welcome Offer: Get up to R15,000 on your first four deposits. First Deposit Bonus: 100% up to R1,500 - on sign up and deposit. Second Deposit Bonus: 50% up to R4,500 - Use code WGEN2 on second deposit. Third Deposit Bonus: 25% up to R4,500 - Use code WGEN3 on third deposit. Fourth Deposit Bonus: 25% up to R4,500 - Use Code WGEN4 on fourth deposit. Weekly Bonus Mission: add R750 to your account between Monday and Thursday to get a special 25% matching bonus on Friday! Lightspeed Monday: Ward off the Monday office blues with free spins on slots games. Win by wagering at least R150 over the weekend. Shooting Star Bonus: When your other bonuses are over, avail a trio of trailing bonuses worth over R3,000 by selecting the Shooting Star bonus on your next deposit! Sail in Space from Space: Win a pair of all-expense paid tickets to an 8-night cruise from Barcelona by just depositing and wagering R750 by April 2019! Hyperspeed VIP Benefits: Sign up for the VIP program at Genesis to earn some really cool benefits. These include a dedicated account manager, special bonuses, exclusive events access, monthly VIP draws, and even personalized birthday presents. VIPs also get the privilege of personal withdrawal services with higher limits. Genesis also offers its loyal patrons with Holiday Packages and flights to Vegas!